You know what that means… POOL PARTIES!! We’ve found some pool accessories that will blow your mind. So, let’s gear up and get ready with these 2014 “must have” items. What says “awesomest pool party ever” more that a floating ping pong table? Nothing. This is it. The epitome of coolness. I know that our normal, indoor ping pong table is always a hit. We can never get people to stop playing. EVERYONE LOVES IT! And now there’s a pool version? What a dream come true! This is sure to be an enormous hit with your guests. 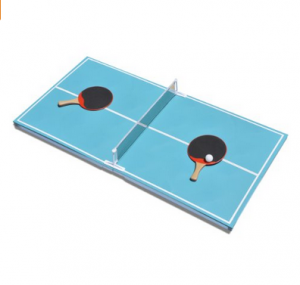 Kids and adults alike will be having a blast with this floating ping pong table. If you’re having a big party you may even want to get two!! 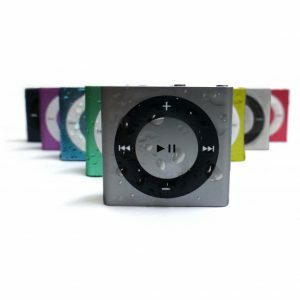 The Underwater Audio Waterproof iPod Shuffle is the greatest new accessory for pool parties in 2014. In college, we used to have group iPod dance parties where everyone had the same playlist. Then, we went to an agreed upon location and all pressed “play” at the same time. We had a silent, outdoor dance party… Which is a great way to have fun and not upset any neighbors. Now we can dance and listen to music while swimming in the pool!! 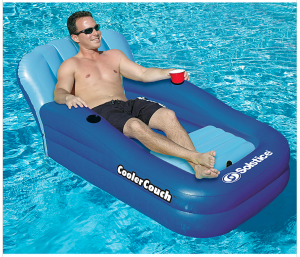 Keep the drinks close to where the fun is happening with this… It’s a deluxe, luscious pool couch featuring a built in cooler! I definitely want one of these. Whether it’s for a party of two or a big crowd, this is still practical. And super fun! I can see myself lounging in one right now with some Dr. Peppers on ice right under my feet. And a couple Mountain Dews thrown in there too for my husband’s sake. 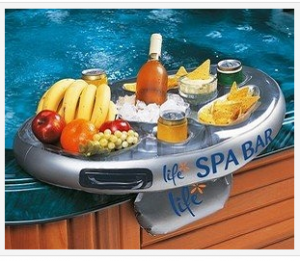 The perfect accessory for the cooler couch is this floating snack tray. It can sit on the side of the pool or float about in the water all on its own! On a hot summer day, I can think of nothing more relaxing than snacking on fruit and lounging in the pool. So, what are your perfect, pool party finds? Is there a special item that you have found and want to share with us?